www.photomacrography.net :: View topic - Redback spider. Posted: Fri Mar 11, 2016 10:13 pm Post subject: Redback spider. As usual shot with the EOS-M with Minolta MD glass. Most of the shots with the 100mm bellows. Others with 50mm and 24mm primes reversed on the bellows. Awesome work! I watched the whole thing, several parts more than once. Being able to see through the red mark was amazing. 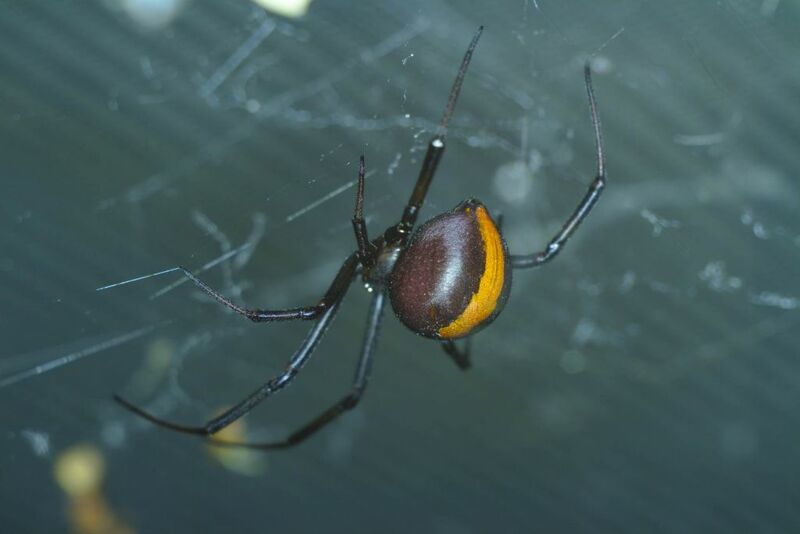 Is the red mark on a black widow spider the same absence of pigment? I'm not sure on the other black widows, I take guess and say yes. The movement doesn't happen often, I first noticed it when scanning through the video at high speed. That was captivating! I learned a great deal and enjoyed every minute. You're right. I wrote my own script to do the trails, its kind of a progressive lightenIntensity with imagemagick. I found out later that there exists a program that does the same thing call starstax, look for comet mode.